Marshalls’ range of shaped concrete block paving allows for stylish and creative schemes, whether they’re traditional or contemporary by design. 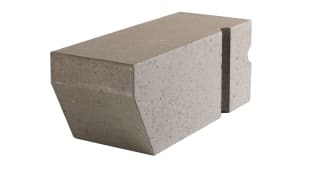 Available in a number of different styles, colours and finishes, using shaped concrete block paving adds the perfect finishing touch to your project. The range is best used to enhance the surrounding landscape; our Metrolinia for example, available in four colourways, can be used to add a busy sense of style to your urban city project. At Marshalls, we can advise on the best, most efficient use of shaped concrete block paving to turn your plans into an aesthetically-pleasing and highly functional walkway. Available in a range of flat-faced and riven finishes, these subtle enhancements to your choice of natural stone add even more delicate yet hard-wearing dimensions.